Management Reporter, Microsoft’s replacement for FRx, is an interactive reporting application that enables businesses to create, maintain, deploy, and view financial statements. It goes beyond the reporting capabilities of FRx by allowing users to design a variety of reports easily and efficiently. With Management Reporter, users can easily create professional looking reports and financial statements without having to turn to their IT department for assistance. 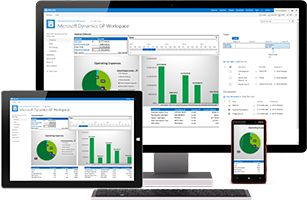 A true client server based product, Management Reporter integrates with Dynamics GP and Dynamics SL more seamlessly than FRx ever could. Companies and reports are maintained in Management Reporter’s own independent SQL database, improving the overall speed and performance of your Dynamics solution. The security settings in Management Reporter allow you to define who can and cannot view reports. You can now create private reports for a specific user or group of users without having to worry about the reports being seen by unauthorized personnel. Unlike FRx, Management Reporter has the familiar look and feel of Microsoft Excel’s interface. This familiarity shortens the learning curve and makes Management Reporter easier and faster to use. When you create a report in Management Reporter, you have the ability to generate it directly into a shared folder. Once shared, anyone with access to that folder can view the reports in a web browser without the need to install separate software or have a Dynamics GP / SL or Management Reporter license. Management Reporter’s Missing Account Analysis tool enables you to quickly see which building block is missing accounts. Once identified, you can open the building block directly from the Missing Account Analysis window to fix it. You can run this utility any time prior to generating reports. While it may sound like a minor thing, FRx’s inability to allow users to indent information was a source of much frustration among users. If you wanted to offset information, your only option was to insert blank spaces to simulate an indent. It was a formatting nightmare. Management Reporter, on the other hand, allows you to easily indent information in your reports. Another source of frustration among FRx users was its inability to add graphics to reports. Management Reporter allows you to easily add a logo to the top of your financial statement. The results is a more polished, professional looking, branded report. MIG & Co. has helped companies across the country save money and improve the efficiency of their business processes by migrating from DacEasy to Microsoft Dynamics GP. For more information about how we can help your organization, please call 855-644-2677 or contact us. Learn how to use Management Reporter to create a Statement of Cash Flow report. 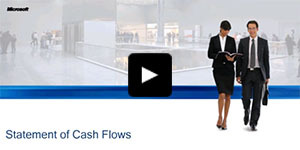 This will enable you to analyze the flow of cash in and out of your organization. Management Reporter's Quarterly Tax Form report function is designed to provide you with all of the required tax information when filing quarterly employee tax information.